In this paper we propose an approach to verify PLC programs, a common platform to control systems in the industry. Programs written in the languages of the IEC 61131-3 standard are automatically translated to B machines and are then amenable to formal analysis of safety constraints and general structural properties of the application. 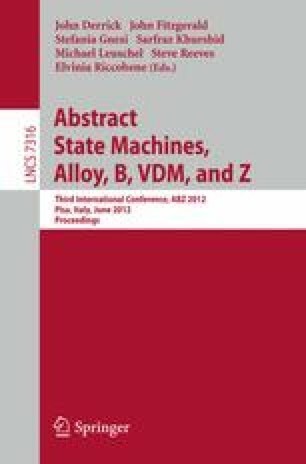 This approach thus integrates formal methods into existing industrial processes. Project supported by ANP. CNPq grants 560014/2010-4 and 573964/2008-4 (National Institute of Science and Technology for Software Engineering—INES, www.ines.org.br ).